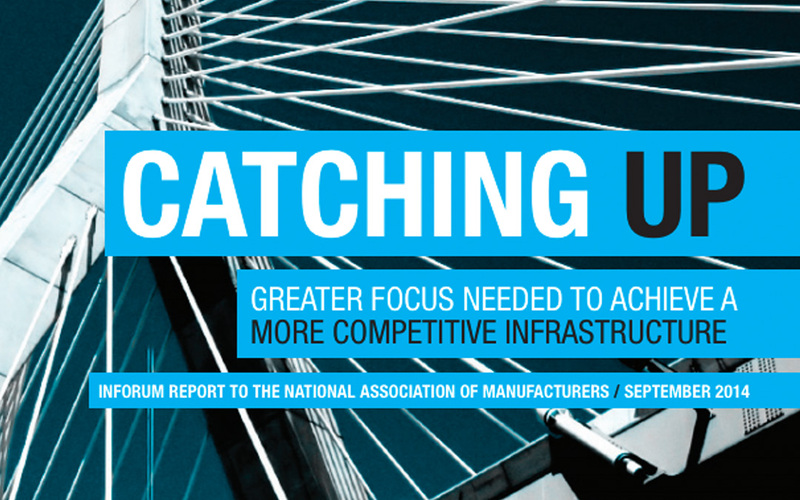 A September 23 National Association of Manufacturers (NAM) study reinforces the fact that investing in America’s transportation infrastructure will provide significant economic benefits for the county. “Catching Up: Greater Focus Needed to Achieve a More Competitive Infrastructure” concludes that a targeted, long-term funding boost of approximately $83 billion per year (in 2009 dollars) in the country’s transportation infrastructure over the next 15 years will create 1.3 million jobs, generate 1.3 percent GDP growth by 2020 (rising to 2.9 percent growth by 2030), and increase take-home pay for Americans by $1,300 per household in 2020 and $4,400 in 2030. The study also finds that for every $1 invested in transportation infrastructure by 2030 will yield a $3 return on investment.